In 2017, some volunteers, members of the Associations that belong to the NAPV and the Association Gustav Line, participated in the mapping operations of the mass graves discovered in Russia near the town of Kirov and subsequent recovery of the fallen that there lie. Among which is found an unspecified number of Italian soldiers. The participation to the excavations is the result of a preliminary meeting held in Kirov in the month of December 2016, in the course of which local coordinators and the Russian authorities have carefully examined the work and the skills of the associations involved that with their volunteers provided all the possible support until the end of the work. To the operations collaborate Authorities in several European countries, with a planned involvement of several years. The activities on the field, during the 2017, was coordinated by the “DOLG”, the Organization Youth Voluntary of Kirov, which has the mandate of the Russian authorities. The activity lasted the entire summer 2017. The last field’s activity was in August 2017. The excavation was conducted with archaeological method. A new mission is planned for the summer of 2018. The Park was born from an idea of some bodies and associations who are involved in the conservation of historical memory of the events of the last world war. All the associations involved are without profit purposes. 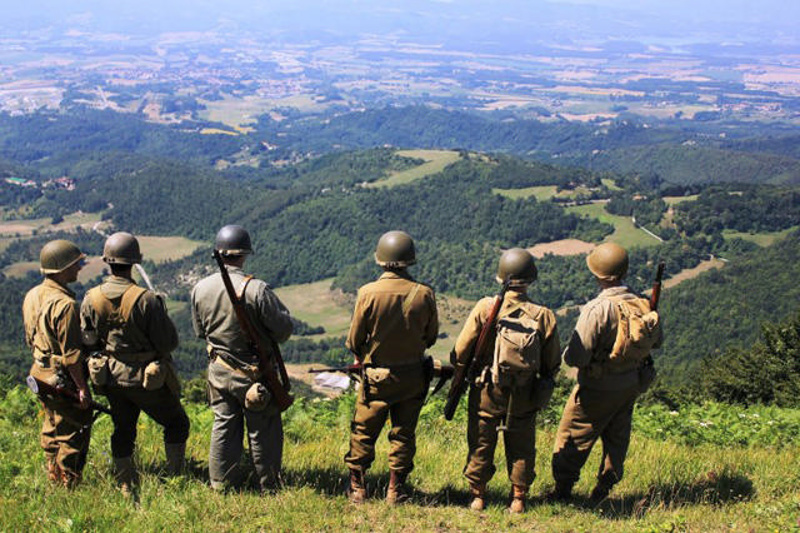 Members of the NAPV are Gotica Toscana npa (our association), the Association Winter Line of Pianoro ( BO ) and the Museum of the Second World War of the Po river in Felonica ( MN ), the Municipalities of Scarperia and San Piero, Pianoro and Sermide e Felonica. To the project participated also the Memorial Museum of thr Freedom of Bologna and individual persons. In 2016 a new important piece becomes part of the NAPV: the ROVER JOE Museum in Fidenza. This last one collects a unique collection of vehicles equipped with communication tools, cipher machines and radio equipment of the WW2. For more information visit the site of NAPV. 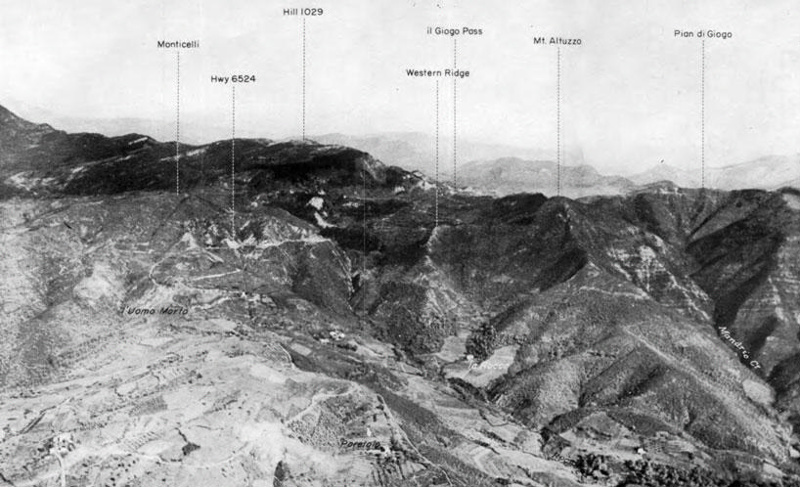 in September 1944 the area of Giogo pass, in the Community of Scarperia and S. Piero (FI), is the theater of one of the key battles of the breaching of the Gothic Line. The intervention involves two areas of the Community and San Piero: the first part is in the village of Ponzalla, where the association has intervened with the recovery of a building that became the “Center of Documentation and historical searches” and the related Museum. The second is located on the ridge that divides the Mugello from the Alto Mugello, between the municipalities of Scarperia and Firenzuola in the area of the Giogo pass; in this area the intervention has taken into consideration the cultural heritage and landscape by providing their restoration and enhancement. Gotica Toscana npa, together with the other members of the NAPV, promotes and organizes exhibitions, meetings and contacts with veterans and their families, storage and dissemination of testimonies and field activities. These latter have as main actors the places and the testimonies still present on the ground. All these elements are used for the design and construction of thematic routes. This approach has led to an increase in attendance and a general increase in attention on this area by the foreign institutions. The “Center of Documentation and historical searches” was inaugurated on 24 September 2011. The CDRS hosts the “Mugot”, Museum of the Gothic Line, the headquarters of the association, the Secretariat of the HMV Italy and is affiliated member of the american MVPA. 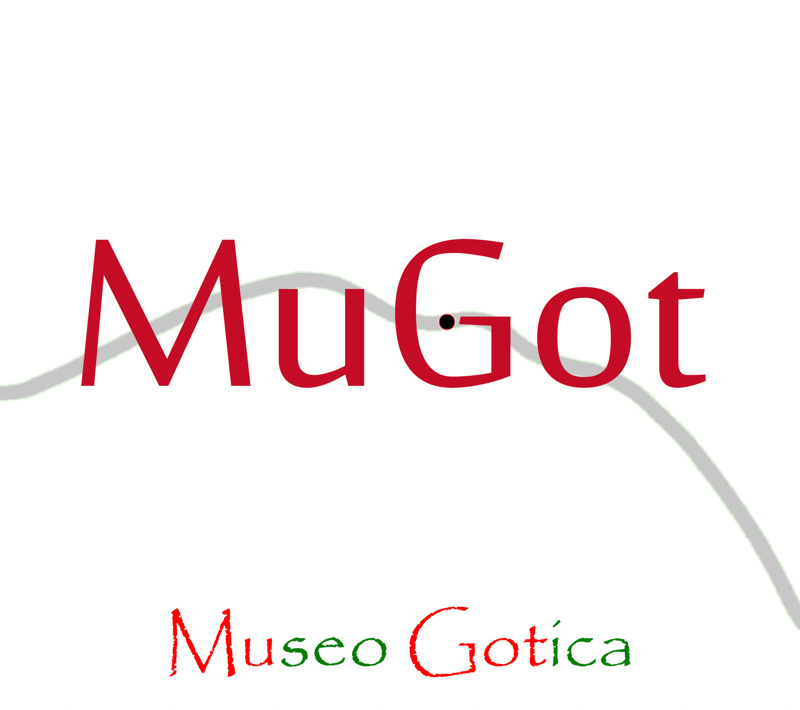 The “Mugot”, Museum of the Gothic Line, hosted in the CDRS by Gotica Toscana NPA (CDRS). The museum preserves the memory of the passage of World War 2 in Tuscany. For more information visit the site of the “Mugot”. The “Mugot”, Museum of the Gothic Line, is hosted in the Centre of Documentation and Historical Research by Gotica Toscana NPA (CDRS). The museum preserves the memory of the passage of World War 2 in Tuscany. 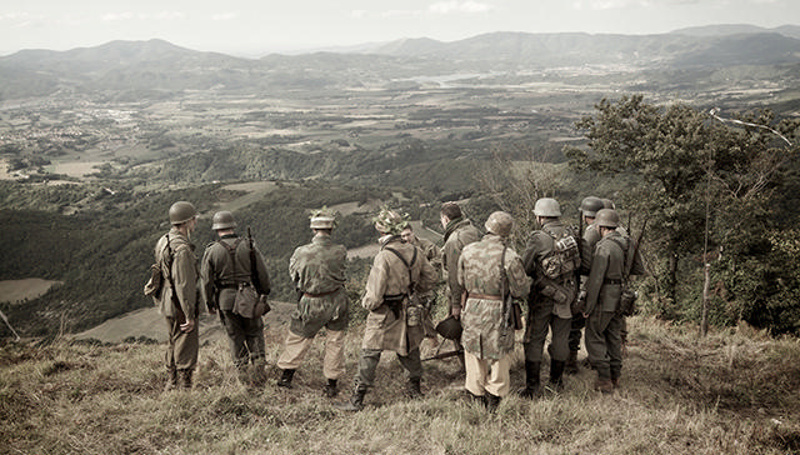 A special attention is given to the events which took place on the Apennines Mountains between the Futa Pass and the Giogo Pass (North of Florence) as this was the theatre of large operations in September 1944 against the Gothic Line, the last German fortified line of defense in Italy. The MuGot offers documents, textbooks, oral records and original WW2 footage to history enthusiasts, scholars and students and can also arrange battlefield tour on demand in order to give a precise explanation of the events and show original outposts. Finally, the indoor displays of the MuGot, which are the result of years of intensive research, battleground findings and collection of materials from local donors and Gotica Toscana npa members, give visitors the chance to get well acquainted with men, uniforms and equipment which were protagonists of the last all but forgotten part of the Italian Campaign. Since 2009 we signed an agreement with the Unione Montana dei Comuni del Mugello (the local authority in charge for the preservation of the mountain area) for the recovery and conservation of the bunkers and position of the Gothic Line present on the territory. Gotica Toscana npa has identified some important locations and artefacts dating back to the second world war, of considerable historical interest, present in our area for which we have prepared a program for the recovery and restoration. The area of the Giogo Pass in the Community of Scarperia and S. Piero (FI) in September 1944 is the theatre of one of the key battles of the breaching of the Gothic Line. Our association has mapped the bunkers and the other positions still detectable in order to provide to recover and restore those functional to the project of hiking trails. The trails are of varying difficulty and length, including those accessible to people with reduced mobility. The project takes into account the preservation and management of natural and cultural heritage. The intervention involves the area of the Community of Scarperia and San Piero that is located on the ridge that divides the Mugello from the Alto Mugello, between the municipalities of Scarperia e San Piero and Firenzuola in the area of Giogo Pass. The first stage saw the mapping of the bunkers and the other positions with the creation of a database to correlate archive’s information with the reliefs on the ground. The second phase has identified the useful bunkers and positions to the realization of trails of varying length and difficulty (including those for people with reduced mobility). The third stage saw the planning for the restoration of the military locations identified and the positioning of information panels. The area is entirely comprised in the Apennines and represents one of the areas of high environmental value located between the regions of Tuscany and Emilia Romagna. The museum plays a key role with the exhibitions strictly linked to the events of the area. The project is integrated with the “Museo Diffuso” that is the local museum system. The “Museo Diffuso” gathers several realities present in the towns of the Mugello, the Alto Mugello and the Sieve Valley: it is divided in systems, each of which includes museum points, educational laboratories, and itineraries. This project involves the coordination and presentation in the form of thematic paths of all the activities organized by the associations and entities connected to the “North Apennines Po Valley Park” (NAPV). The NAPV offers, with its own museum network, an interpretation based on the events of the 2nd World War of the Italian landscape different to the traditional artistic and gastronomic approaches.